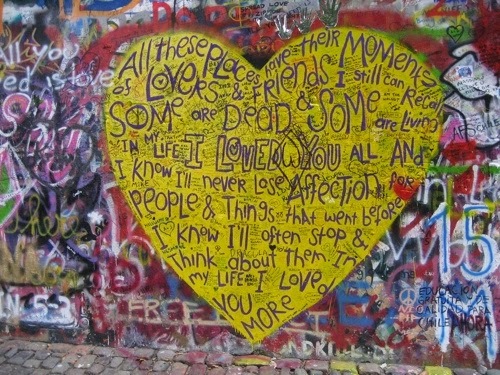 One of my favorite sights in Prague was visiting the John Lennon Wall. Since 1988, this wall has been evolving. 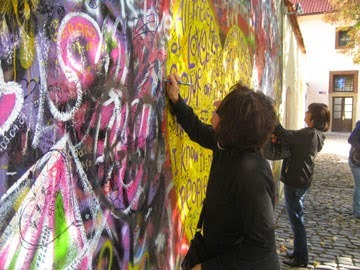 Visitors come to view, write, and paint on the wall. Always changing, this is a wonderful continuous art piece representing peace and love.